The dawn of a new week brought ten more polls from ten states. 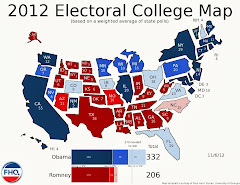 With the exception of Montana, all were either toss ups or states in the Lean Obama range. Excepting North Carolina, all of the toss up states with newly released polls saw lean level poll margins. In other words, in each case where Obama led in a toss up state, he also witnessed growth in support above what has been established in those states. In addition and at least somewhat importantly, Obama also crested above the 50% mark in those polls and was on the precipice of that break-even threshold in North Carolina. Obama has been at or above 50% in Colorado previously, but compared to the overall state of the race in the Centennial state, that level of support is running a bit above Obama's FHQ weighted average support there. Romney, however, in the mid-40s, is performing up to the preexisting expectations. As in Colorado, Obama is outperforming his FHQ weighted average any time he is at or over 50% in a poll. Surpassing the 50% barrier is a less frequent occurrence in Florida, though. Romney, meanwhile, is similarly stuck in the mid-40s in this ARG poll in Florida just as was the case in Colorado. Iowa is another toss up state with Obama breaking 50% in today's poll, and the story is the same as it was in Florida and Colorado (albeit with fewer overall polls and slightly more variability in the averages as a result). There is -- simply put -- a real need for increased polling in the Hawkeye state. Iowa is underpolled and has gone back and forth between the candidates all summer with the balance consistently tipping in the president's direction. Rare are the double digit advantages in Michigan, yet here we are in late-September and Obama holds a twelve point lead in the latest Rasmussen poll of the Great Lakes state. This one definitely has all the markings -- absent other similar data -- of an outlier built on an incumbent exceeding the level of polling support witnessed in earlier polls. Romney, again, is right in line with where he has been all along in his home state. There could be some more polling in Minnesota, but the the Land of 10,000 Lakes has seemingly settled into a position around the Strong/Lean line on the Obama side of the ledger and that has been reflected in this and other polling in the state. Of the Lean troika that includes neighbors Wisconsin and Michigan, Minnesota has been slightly more Democratic-leaning overall. Mason Dixon kind of nailed it on this one. Well, they nailed it if FHQ's weighted averages are in anyway reflective of the true nature of the race. The poll margin and the FHQ average are nearly equivalent. And that is a nice way of saying something about Montana. It is in the Lean Romney category and is deep enough in to be well outside of the president's reach. 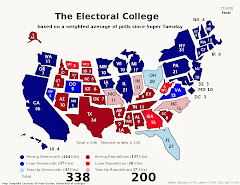 While some states have not swung back with the hypothetical uniform swing nationally (North Carolina and Ohio), Montana has, moving from a state on the periphery of being competitive in 2008 to not competitive at all on the presidential level in 2012. The song remains the same in Nevada in that Obama, as in several states above, is over 50% support in the latest ARG survey. 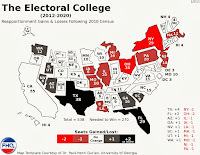 The president has had similar snapshots in the Silver state in 2012, but the preponderance of the data has suggested that this poll is on the high side concerning Obama's level of support. 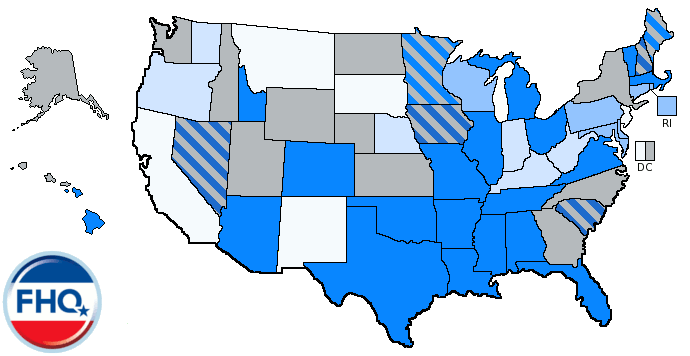 Mitt Romney, on the other hand, is right in line with where he has been in the state. Obama turns in another September lead in North Carolina and shows a 14 point gain over the last Civitas poll in the state to boot. North Carolina is not at all necessary to Obama in getting to 270 electoral votes, but being able to make Romney play defense in the Tar Heel state instead of offense elsewhere is a huge strategic advantage for the president. Meh. Pennsylvania is a Lean Obama state where neither campaign is playing. Need I say more? I don't think so. The new Mercyhurst poll merely confirms what we already knew about the Keystone state. In lean again, toss up again Wisconsin, the averages have slipped back over into Lean territory. Of course, that was driven in large part by a double digit margin pushing the Badger state over the line into the Lean category, but not by much. Wisconsin is still very much a state between categories. Wisconsin pads the Lean Obama category for the moment. That shifts the 10 electoral votes from the Badger state there as well, but doesn't move the state on the Spectrum below. Though it may or may not be of any great import, Iowa and Colorado also switched places in the middle column below. The two states were moving toward converging of late, but they are now heading in separate directions: the margin in Colorado contracting while Iowa pushes toward the Ohio/Virginia group. The Watch List? Well, nothing to see here. Everything is the same as it was yesterday. It is all about Florida and then the Michigan, Nevada and Wisconsin group. Those are still the states most worth watching for new polls.